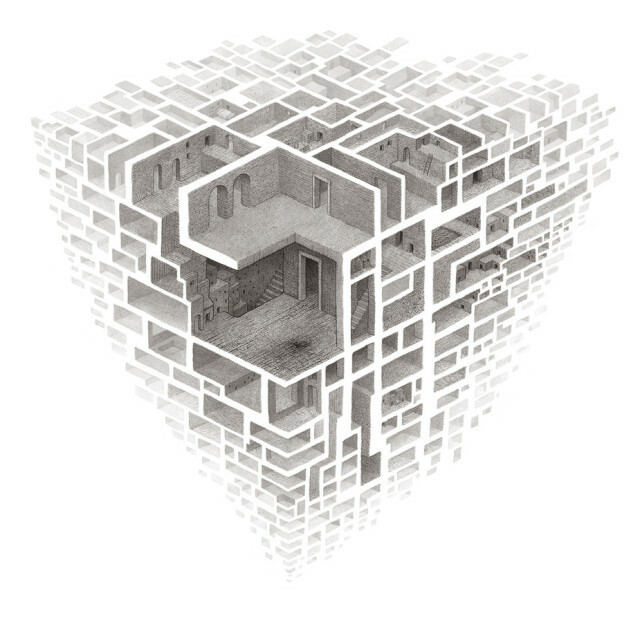 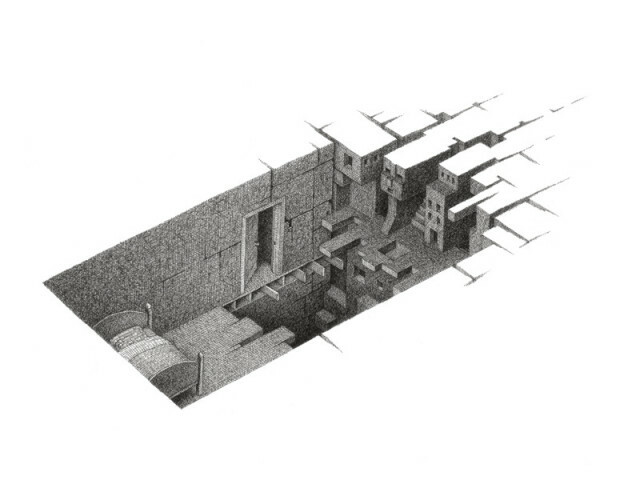 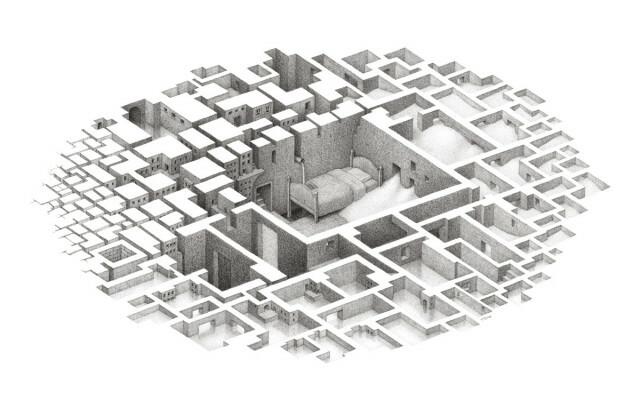 Mysterious rooms and structures of widely different scales coexist in surreal drawings in the 2003 “Room Series” by artist Mathew Borrett. 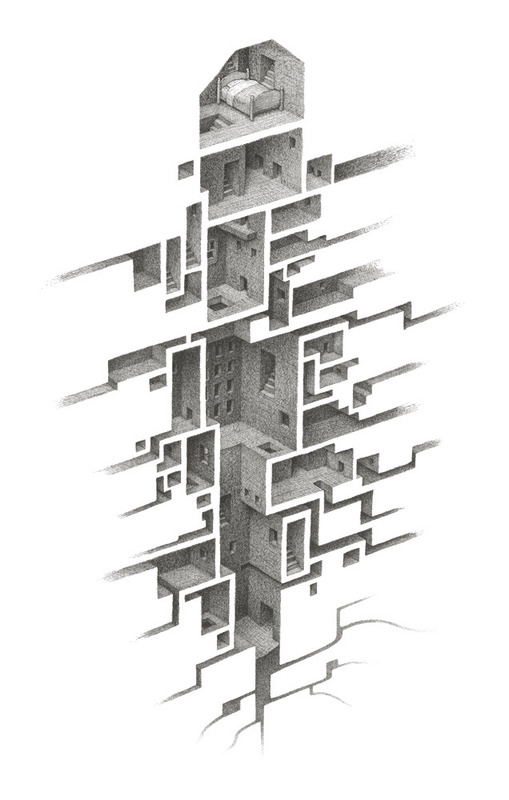 Prints are available online. 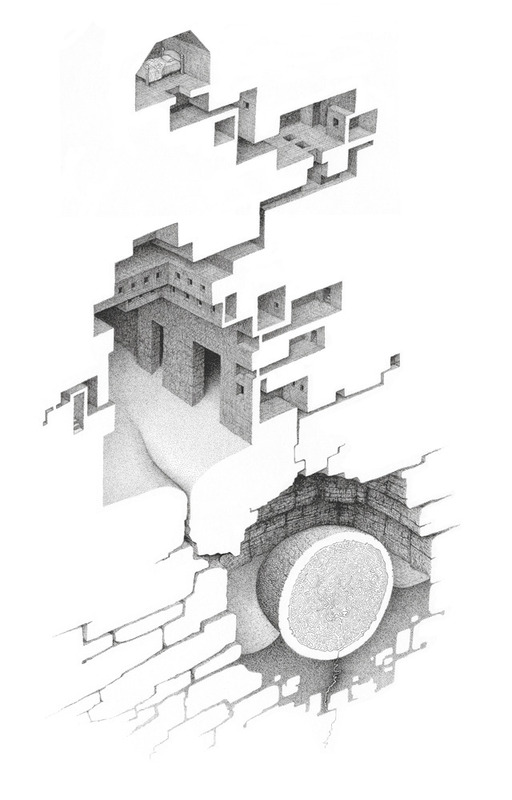 Borrett’s drawings have also been compiled into a book, Mathew Borrett Collected Drawings 2002-2012.